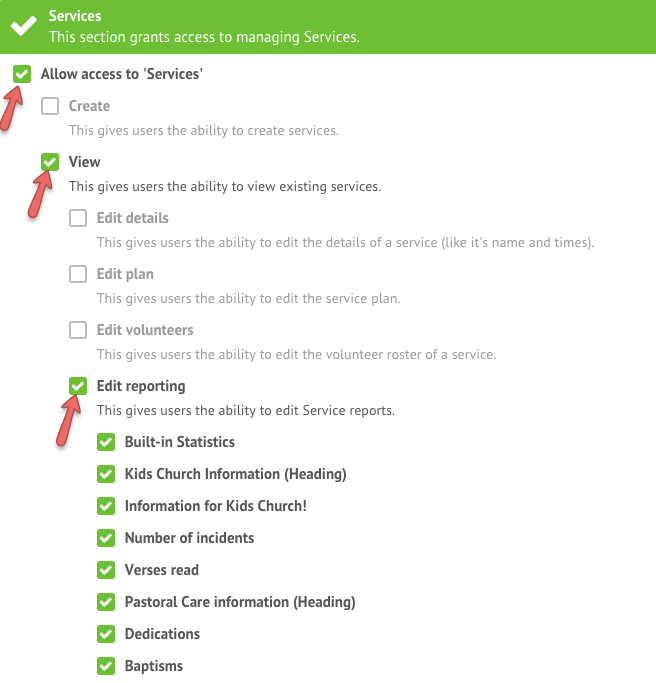 You can give people access to entering service statistics by editing your Access Permissions. Once editing an Access Permission, enable ‘Services’ and then ‘Edit Service Reporting’. Here you can also lock down those sensitive fields to specific access permissions.